I wanted to be a lot of things when I grew up: a nurse, a teacher, a judge, a senator, a singer. But the one that stuck with me most, that lit up my imagination the most was the ambition of being an astronaut. I grew up during the age of the space shuttle, Star Trek, and Star Wars. I was mesmerized by 2001: A Space Odyssey and consumed everything I could in those very early years about space travel. I even went to Space Camp. Twice. This was it for me. My only destiny. I was destined to travel among the stars. My early childhood memories include watching the space shuttle, Columbia, roar into the sky. Innocence and imagination propelled me to research and learn, which caused me to grow and dream bigger. Likewise, my trips to Space Camp got me started with public speaking rather early, other schools and classes wanted to hear about my experience. It also led to designing a space station with my equally geeky friend, Chris, in middle school. My life became a series of events, speeches, presentations, leadership councils, playfully personally arguments that illustrate a higher ideal than the everyday, ordinary obedience. And while I have decided to stay on earth for the duration of my lifetime, I still am inspired and awed by the inspiration of space. Whenever I’d sit and watch the stars, I saw the endless possibilities for discovery, for growth, for the experience of majestic beauty. I saw the potential for greater technologies to take us past our solar system. I saw the bright, twinkling possibilities for future destinations, greater understanding of our origins and even the capacity for humanity’s redemption in the vast, glittering expanse of space. But space is also scary. It’s dark and mysterious. The boundlessness of such apparent emptiness often exceeds normal comprehension. And in those rare moments we allow ourselves to explore the vastness of that concept, we begin to see how it’s possible to let go of our smaller selves and connect to the vastness of the cosmos. It’s humbling and remarkable, sparking a flicker of wisdom within, as fleeting as a shooting star. Tonight I am sitting on the porch of my family’s cabin in the mountains. I have needed this retreat for the past few months. In my efforts to cope with the stress of day to day life I’ve allowed myself to get drawn back into old patterns: reacting instead of responding, self-deprivation instead of self-nurturing, beating myself down instead of lifting myself back up. The gravity of the world weighs down my spirit more often than the beauty of it has lifted my soul; yet, I feel untethered, the ground never truly solid beneath my feet. Sometimes I feel like I have just floating out there for quite some time. Drifting from one ambition to another – today in a writer, yesterday I was a lawyer, tomorrow I’ll be a goddess. While all of those roles are me, lately there has been very little of me left to inhabit those roles. There’s been very little of me to offer to the people I care most about in this world. Very little of me to become the sparkling mountain goddess I want to be. So consumed by the fear and anxiety, the doubt and the anger, i have lost touch with the love and the wonder that set me on this path to begin with. But as I sit here on this porch, a magnificently sparkling painting of stars overhead, I recall the girl who dreamed of being an astronaut – of seeking out a future for humanity. In this quiet of midnight, I finally feel free to reconcile my own destiny. I have lost touch with the wisdom that I find when I slow down and consider the true vastness of the universe compared to the small and tiny problems of my life. Who cares whether my boss likes me if there isn’t a humanity left to bear witness to the grandiose majesty of our universe? Who cares whether I said the right thing or wore the right outfit or if I weighed 210 or 135 – my weight is not my legacy. Likewise, why should I care about which celebrity is dating who, when I am one tiny person in the vastly diverse array of human beings on this planet, inhabiting one of just a billion different rocks? Life is so much more than our competitions and jealousies. Life is so much more rewarding than a lifetime of bitterness. Staring at the stars, we begin to question the uselessness of our structures and oppressions. Staring at the stars we know that life is much more than what we’ve contained ourselves to become. Break loose of the mold and find your light in the vastness of complexity and beauty within. Cut loose from the ties that have bound you to the ground and allow yourself to find your place in the universe around us. It has been a little over a year since I started this job. A job that makes me feel like a for-realsies attorney without the icky task of being a cold, walled off shark. I get to help people, real people with real problems every single day. People who are disabled, homeless, alone in the world. And I choose to do this job in the most connected ways possible. The dial on my empathy is turned all way up all throughout the week. By the time I get to Friday, my soul is weary, my body is weak, and my heart is wistful. Law school doesn’t teach you how to deal with clients, how to deal with compassion fatigue (if it even acknowledges that there is such a thing as compassion in the practice of law) or how to balance empathy with the cold, hard logic of The Law. One of my goals in life is to create a model for attorneys, who much like myself, went into law to help people, change the world and approach the practice of law with empathy and compassion. I’m learning as I go–and I’d love to share one of things that has helped me along the way. As my family will affirm, I spend many a long night at the office. The work I do is so detailed and there is a tremendous burden on my shoulders each day. It only took a few months of this work for me to realize that I needed to build myself an escape hatch–not just because I needed it but also because no one else would do it for me. Having a flexible schedule. 9-5/ M-F doesn’t work for everyone and it certainly never has for me. I purposely look for opportunities where I can be trusted as a professional to get the job done in the time that is most appropriate for me and my family. So I work 9-6 M-Th and 8-12 on Fridays. I can also change around my schedule as I need to based on appointments, family needs and such. I seize opportunities for self-care. I still need to get better at setting aside time and space for it, but when an opportunity for downtime presents itself I jump on it. 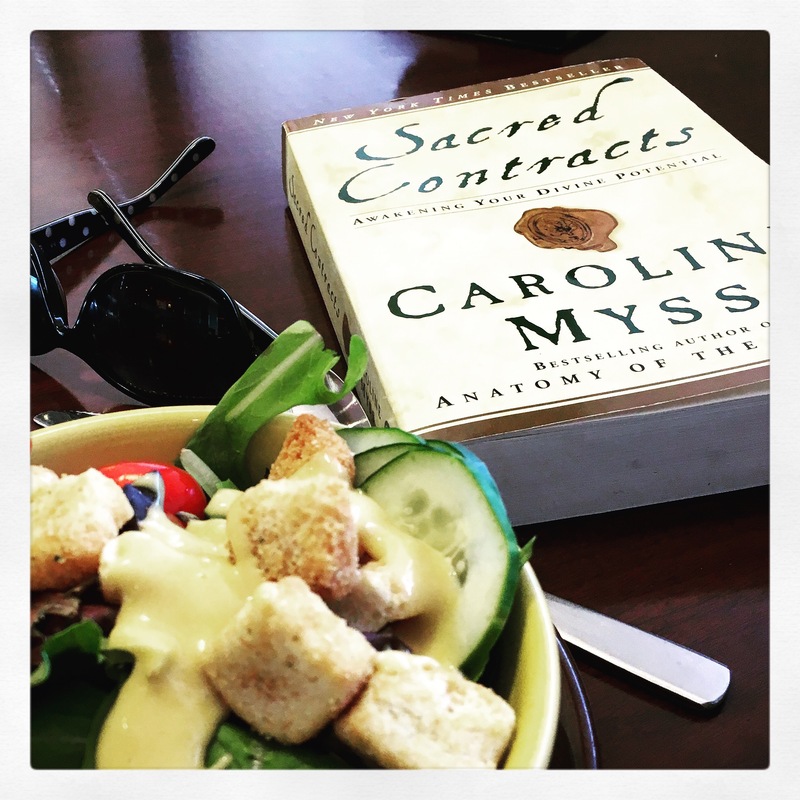 Whether it’s lunch with a friend or time for meditation, I allow myself to seize that chance before it withers away. I find courage to say NO when I need to. I remember one of my first law jobs was as a clerk was for a large law firm. One of the associates in litigation gave birth and she was back to work in 2 weeks. She became my touchstone for what I might become if I couldn’t find a way to say no to impossible demands. I never, ever wanted to be her. I meditate. I’m only now returning to this practice, but it’s important for me to be able to let go at some point during the week and this is the easiest, most effective way. I designate some time that is just for me. I take Friday afternoons off for a reason. It is the one time during the week that is mine and only mine. Wanna see a movie? Friday afternoon. Wanna sit on the porch with a smoke and a whisky? Friday afternoon. Wanna spend quality time with my kid or a friend? Friday afternoon it is. My family and colleagues have learned that Friday afternoons are untouchable. 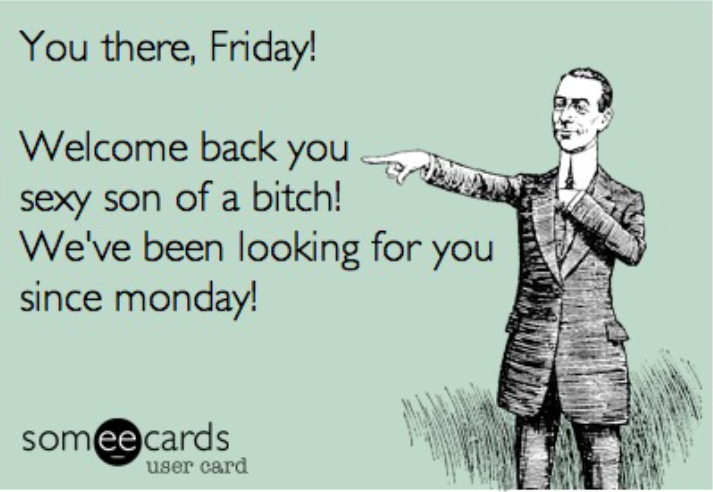 Friday’s are MY days. I create rituals to get me through the week. One of them is to take an hour lunch, go to a diner and read. It’s something I started at my last corporate job and something that I know energizes me and allows me to turn off my critical, stressed out brain for a bit. I always have at least one fiction and one non-fiction book to choose from depending on my mood that day. I wash my hands after a difficult case or client encounter. It seems so simple. But it’s another ritual I engage in to wash away the bad energy that just came through my door. It gives me permission to let go of that fight or that obstacle and to start fresh again. I go to therapy. There’s no replacing the value of talking things out in a confidential environment with someone looking out for your best interests. I only go once a month right now, but it gives me a safe space to put all of my frustrations and doubts and gain some perspective. These are just some of the ways I choose to handle being a heart-centric attorney in a world that denies the impact of trauma and human hardship on the people who work the front lines–and a world that fails to recognize that attorneys, despite our logic and reason, are still, you know, mostly human.